Texas Gov. 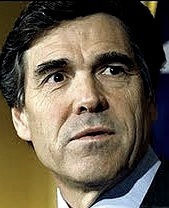 Rick Perry– plans to unseat Obama with memory games. There you have it folks! REMEMBER to vote accordingly. Source: The Huffington Post Rick Perry Forgets Which Three Agencies He Would Eliminate As President (VIDEO). ‹ (Updated) Boyfriend convicted for ‘transgender’ murder — sometimes it’s not a hate crime. Seriously, and people like him want tol be president.